We compiled some common questions we get about AAEA- The Ag Communicators Network. If you don’t see an answer to your question, or need more information on any of the topics below, please contact us at agcommnetwork@gmail.com. The Ag Communicators Network is a member-run organization dependent on dedicated members who volunteer their time. If you are looking for leadership or volunteer opportunities, please contact our Board of Directors, Committee Chairs, and Special Interest Group leaders. They would be glad to speak with you and always welcome a helping hand! How do I apply for a travel stipend? Stipend applications will be listed on our Stipends page as they become available. Be sure to check periodically for updates! How does the association fund programs and events? We are able to fund various programs and events because of generous donors of the PIF and continual sponsors who recognize the value of AAEA and the services we provide to our members. What does AAEA stand for? 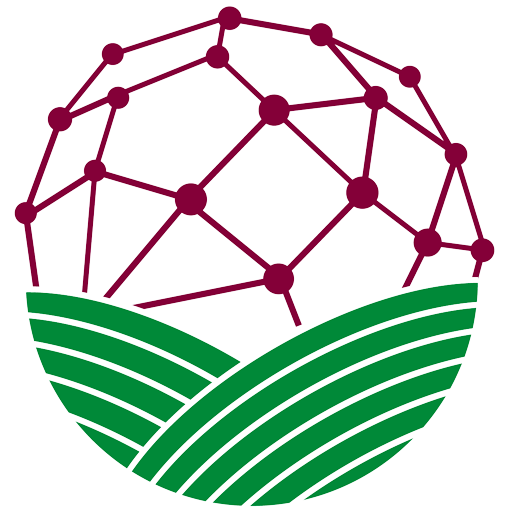 The Ag Communicators Network is formerly known as the American Agricultural Editors’ Association (AAEA). What is AAEA- The Ag Communicators Network? AAEA- The Agricultural Communicators Network is the premier professional organization for communicators across agricultural media. Having served its members for nearly a century, the association delivers professional improvement and networking through annual events like regional workshops, international congresses, and other communications like The Byline, a weekly newsletter. AAEA also partners with fellow ag media organizations to host the Agricultural Media Summit, a 4-day educational conference dedicated to the promotion and refinement of industry professionals. AAEA members include editors, writers, photojournalists, designers and public relations coordinators, and other ag media professionals. The Professional Improvement Foundation (PIF) is a member-directed non-profit organization that provides funding, direction, and input for a wide variety of programs and activities that benefit AAEA members, and help advance the agricultural communications profession. Why the ‘Ag Communicators Network’? We chose the name The Agricultural Communicators Network because it is more reflective of our community of ag media professionals, and our ever evolving industry. How do I log in to my membership account? Click on the ‘Member Log In’ button at the bottom of this page, or visit https://aaea.memberclicks.net/login. If you need further assistance, please watch the video below. There are several ways to renew. By check- Make your check out to AAEA and mail to AAEA- The Ag Communicators Network, PO Box 1444, LaGrange, GA 30241. Over the Phone- Call us at 706-407-2550 with your payment information. For a more detailed description of how to renew your membership, please watch the video below. You can update the information in your profile, such as name, organization, address and other contact information, by logging in to the AAEA members-only site. Click ‘My Profile’ at the top in the main navigation menu. Once you are on the profile page, click the ‘Edit’ button next to your username. You will then be able to edit the information below. Be sure to keep this information up to date as this is pulled for the print and online membership directory! To change your password, hover over the ‘My Profile’ tab in your profile menu. Click ‘Change Password’. MemberClicks is the Association Management Software that we use for the Ag Communicators Network. In addition to its management capabilities and features, Memberclicks allows us to create a separate website, exclusive to AAEA members, to house many member benefits. Visit https://aaea.memberclicks.net/ to access the member site. The membership renewal period begins October 1 for the following membership year. Renew your membership between October 1 and December 31 for the discounted member rate. A $25 late fee is added to membership renewal payments made after January 1. Memberships are based on a calendar year (January 1 – December 31). Memberships expire December 31 at midnight. Where can I find a receipt for my payment? You can find a receipt of your payment in your member account. Log in and click ‘My Profile’ at the top in the main menu. Once you are on the profile page, hover over the ‘My Profile’ tab in your profile menu. Click on ‘Invoices’. To view an invoice, click on the ID number in the left-hand column. To download, click the ‘Download Invoice’ button at the bottom of the invoice. View the video below for help.